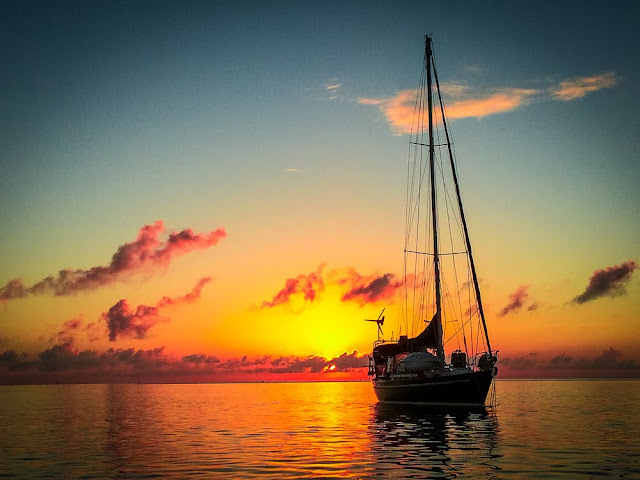 Looking for a bluewater cruising sailboat already equipped to take you around the world ... or just for a sunset sail off Key West? Our 1985 Passport 37 has been our home for the past 15 years. We've been from Annapolis to Cartagena, Colombia through the Western Caribbean and are now back in Key West. New adventures await, it's time. New Frigoboat refrigerator/freezer, new transmission, new smoked acrylic in all hatches, new rudder/steering quadrant, solar, wind, 3 autopilots including a Monitor Windvane and below decks hydraulic steering, 6 sails including a cruising spinnaker and storm trysail among others... details to numerous to include here. Nice looking boat and the price is? Since the OP isn't online, I'll point out that the price is listed on the linked description. All the details, including the price are on the blogspot page, link above. Download the PDF file included on the blogspot page for even more info.